*See store for details. 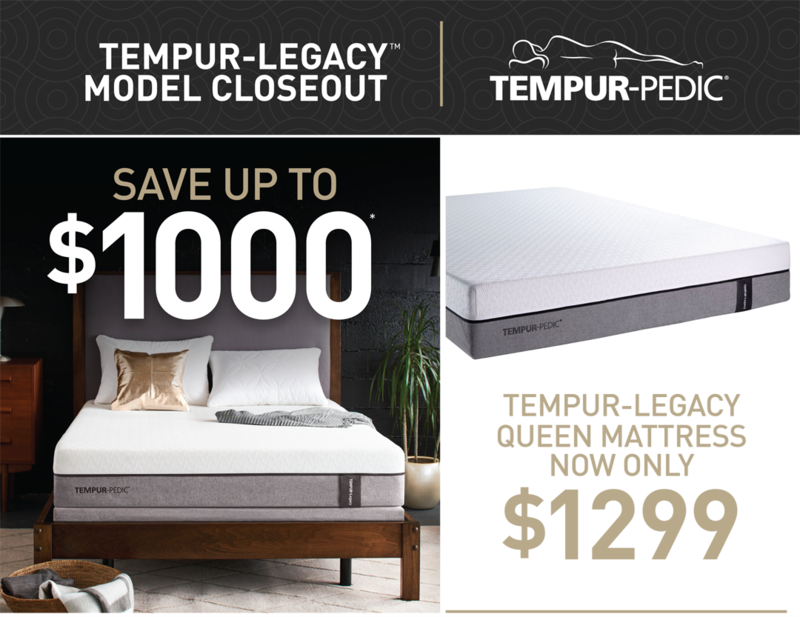 Save up to $1000 on selected Tempur-Pedic® Legacy mattress. Lesser savings may apply. Available products and sizes vary by location. Savings applies to purchases made now while supplies last. Not valid on previous purchases or pending orders. Cannot be combined with other offers. Copyright 2018 Tempur-Pedic Norht America, LLC. All rights reserved.